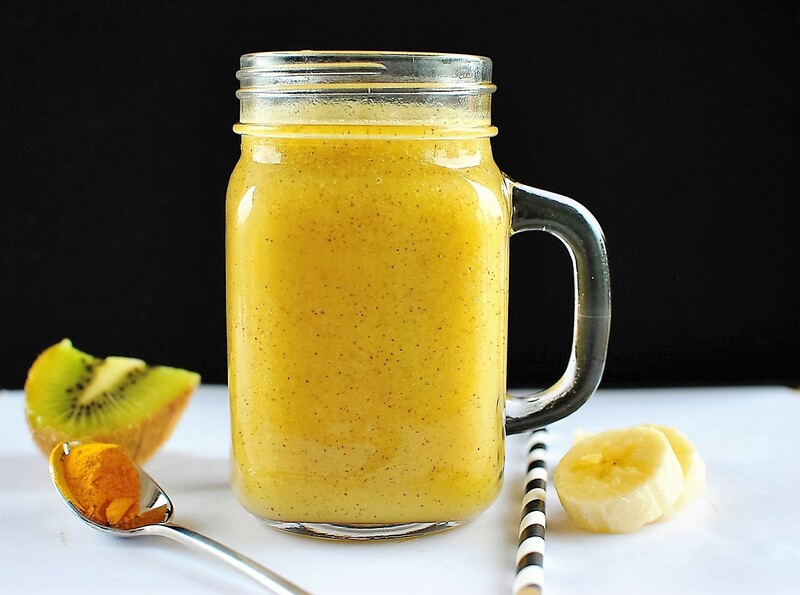 This delicious dairy free kiwifruit smoothie is SOOOOO good for you! It’s packed full of vitamin C, potassium, and contains Turmeric which is anti-aging, anti-oxidant and a anti-inflammatory powerhouse. And it is one spice I try to include into my diet where I can. This is the perfect pick me up at any time of the day. And it is a nice change from the dairy smoothies. If you want to up the vitamin C levels also include one whole orange which also tastes delicious. No colds are going to get us this Winter! This recipe only makes 1 serve, just double or triple quantities to suit. Try these other delicious smoothie recipes Coconut & Raspberry Smoothie or Kale Spinach Berry Smoothie or Healthy Pina Colada Smoothie or Healthy Chocolate Thick Shake to name a few. No Replies to "Super Kiwifruit Smoothie"